Milford bed and breakfast travel guide for romantic, historic and adventure b&b's. 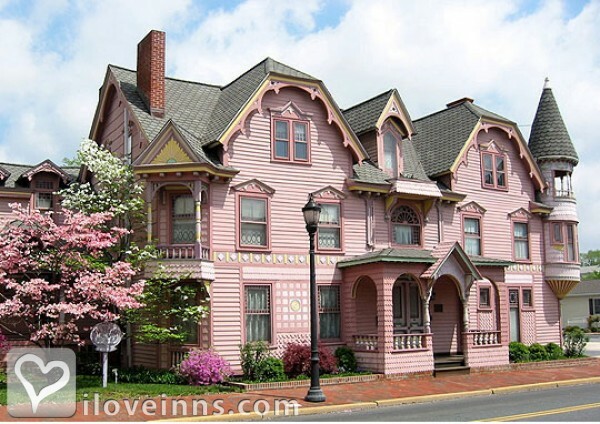 Browse through the iLoveInns.com database of Milford, Delaware bed and breakfasts and country inns to find detailed listings that include room rates, special deals and area activities. You can click on the 'check rates and availability' button to contact the innkeeper. Milford is a city that sits between two counties, Sussex and Kent, in Delaware. Residents often boast that with such location, accessibility is a major asset. In fact, Milford bed and breakfast inns have a great advantage in this regard. Milford also offers some attractions of its own, making visitors spend time roaming around. The Abbott's Mill Nature Center has hiking trails perfect for a healthy walk combined with viewing the beauty of nature in the Milford Millponds Nature Preserve. The Center is at Abbott's Pond, another scenic spot in the city. Have some adventures on the numerous bodies of water in the city through the DelMarVa Board Sports Adventures. This also provides educational and enjoyable eco-tours. Go to Blair's Pond at dusk at take pictures of the magnificent sunset. Take a walk and shop at Walnut Street, one of the city's main commercial and shopping sites. By The Towers B&B. One of the interesting cities in Delaware is the city of Milford, what with several attractions and recreational spots. Offering outdoor and sports opportunities for the young and the old, Milford is the perfect place to spend a quick vacation whether with your family or with your friends. There are several Milford bed and breakfasts in the area offering world class accommodations at a very friendly price. The innkeepers in these bed and breakfasts will make sure you have everything you need, from your personal needs to your activities the next day. The Milford Museum is one of the primary attractions in the city. However, there is also the Milford Skating Center and the Shawnee Country Club. Have a mouthwatering meal at the Victorian Lady and then head to the Stenger's Shamrock Farms all afternoon. By The Towers B&B. Dubbed as the fastest growing community in the state of Delaware is the city of Milford located in the counties of Sussex and Kent. Plan this as a future vacation destination because Milford has a lot to offer its visitors and while you are in town, stay at any of the Milford bed and breakfast inns for that relaxing homey atmosphere. After a hearty breakfast, you can ask directions on where to find some of the main attractions of Milford such as the Mispillion Riverwalk which was an early method of traveling for Milford residents, the Milford Museum where you can find memorabilia of Milford's past, and the Carlisle Fire Company. Enjoy the many performances on the local community theatre Second Street Players and experience the many shopping extravaganzas at the Farmers Market. Visit Milford and you will keep coming back. By Causey Mansion Bed & Breakfast.